Perhaps the fiercest fighting force in all the land, the Unsullied begin training at the age of 5 and fight in phalanx style formations. You can display your enjoyment of their highly disciplined style with the Helm of the Unsullied. 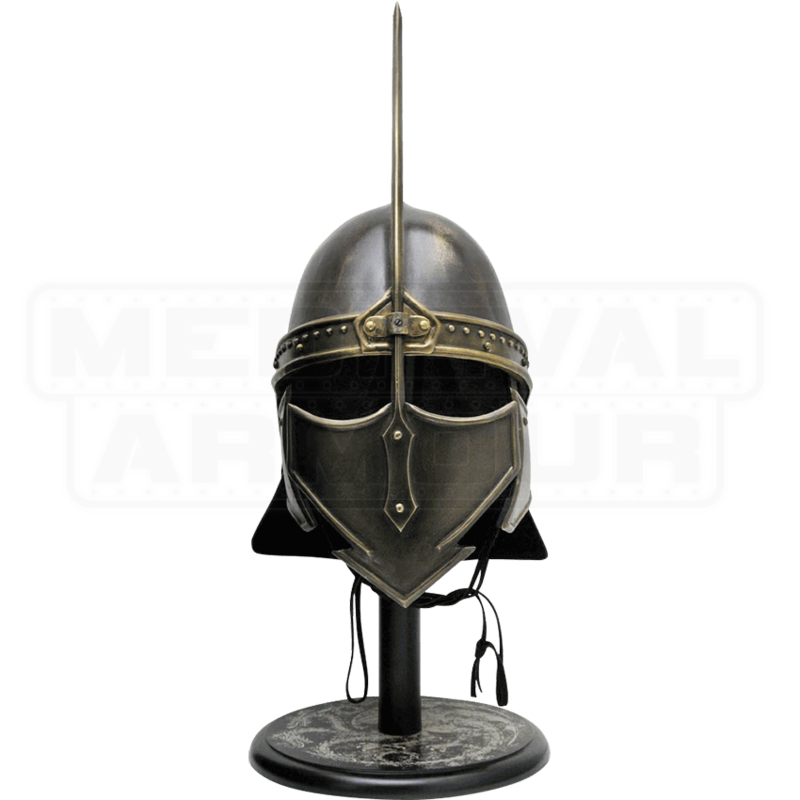 This decorative helmet is fashioned in the likeness of the helmets worn by the Unsullied in the hit HBO television show, Game of Thrones. Like those seen in the show, this helmet features an adjustable visor and a prominent spike which decorates the front of this design. A combination of leather and steel are used to craft this replica, ensuring an appearance of exquisite realism and a long lasting design. 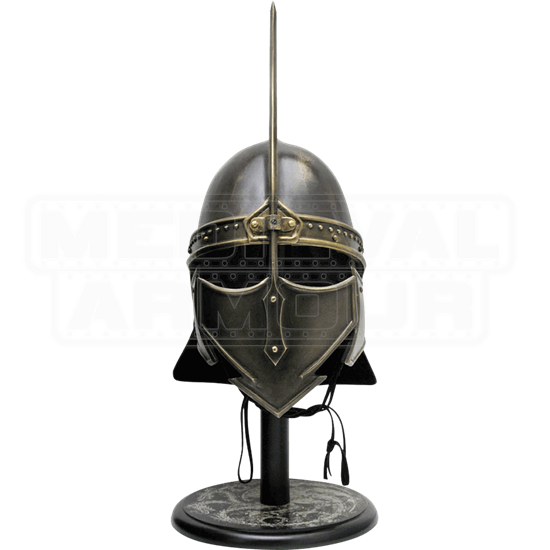 A wooden display stand which features a Targaryen sigil decoration is included with this helmet. Add a touch of fantasy styling to your decor with the Helm of the Unsullied.